Doctors call this study a polysomnogram. It charts your brain waves, heart beat, and breathing as you sleep. It also records your eye and leg movements as well as muscle tension. Sensors are placed on your head, face, chest and legs. They send tiny electrical signals to a computer. The signals show when you are asleep and awake during the night. Your doctor will want to order a polysomnogram if he or she thinks you have any of these problems. You might also have a sleep study if you are already being treated for a sleep disorder but you are not getting better. 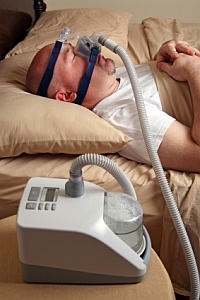 The sleep study can help your doctor see why the treatment is not working. What happens when I have it? The doctors at the sleep center will go out of their way to make you feel relaxed. You will be asked to come to the center in the evening. Some time will be given for you to make yourself at home in the bedroom. No other patients will be in the room with you. You will not feel any pain during the polysomnogram. The sensors are gently placed on your skin and connected to a computer. The wires are long enough to let you move around and turn over in bed. You will be asked to move your eyes, clench your teeth and move your legs. This will make sure that the sensors are working. You are free to read or watch TV until your normal bedtime. Then the lights are turned out and it is time for you to try to fall asleep. A low-light video camera allows a technologist to see you from a nearby room. He or she will have to enter your room if a sensor comes loose. He or she will also have to detach the wires if you need to go to the bathroom during the night. The polysomnogram is not a test that you can fail. Nearly everyone falls asleep during the study. Most people do not sleep as well as they do at home. This will not affect the results. In most cases, you do not need to sleep for a full eight hours to find the source of your problem. In the morning you will test the sensors again, and then they will be removed. This will complete the study, and you will be free to go. You may be tired if you did not sleep well during the night. Otherwise, you can return to normal activities on the day after a sleep study. 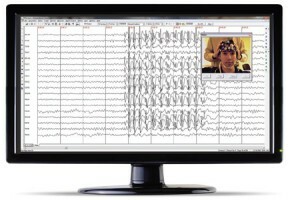 A technologist is the first one to look over the data from a sleep study. First, he or she will chart your sleep stages. Then, he or she will look for any events of abnormal breathing or leg movement. The results will be given to a doctor. The doctor will review the study to find out what kind of sleep problem you may have. Many sleep centers are accredited by the American Academy of Sleep Medicine (AASM). The AASM sets strict standards for centers to maintain. This is to make sure that patients with sleep disorders get the highest level of care. In these centers, the results of a sleep study are always reviewed by a board-certified sleep specialist. It usually takes about two weeks to get the results of a sleep study. At times the doctor who takes a look at the study needs to get more information. He or she may talk to the technologist or to the doctor who sent you to the center. The doctor who ordered the study will discuss the results with you. If your primary care doctor ordered it, then the results are sent to him or her. If you met with a doctor in the sleep center, then he or she will tell you the results.